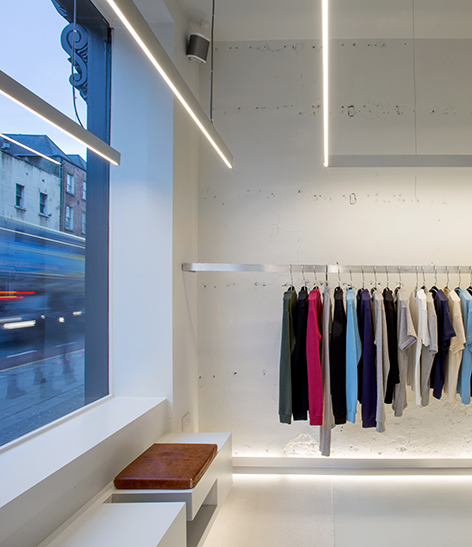 Our 2nd Nowhere store uses a new palette and new design & construction team originating everywhere from Paseo del Rey, Madrid, to Nenagh, Tipperary. 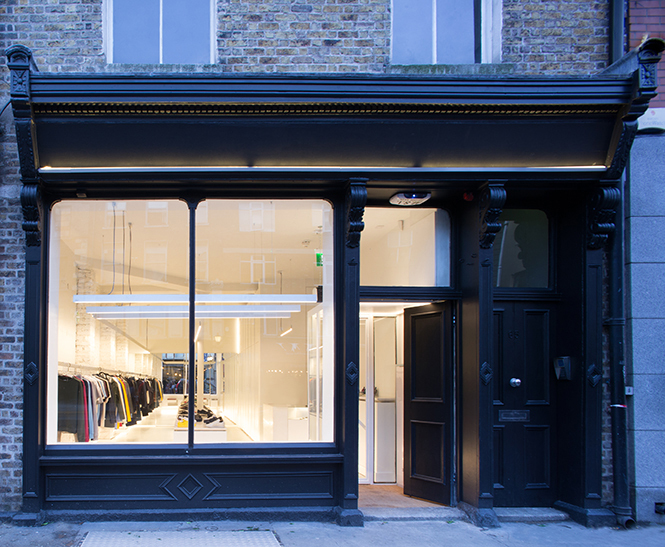 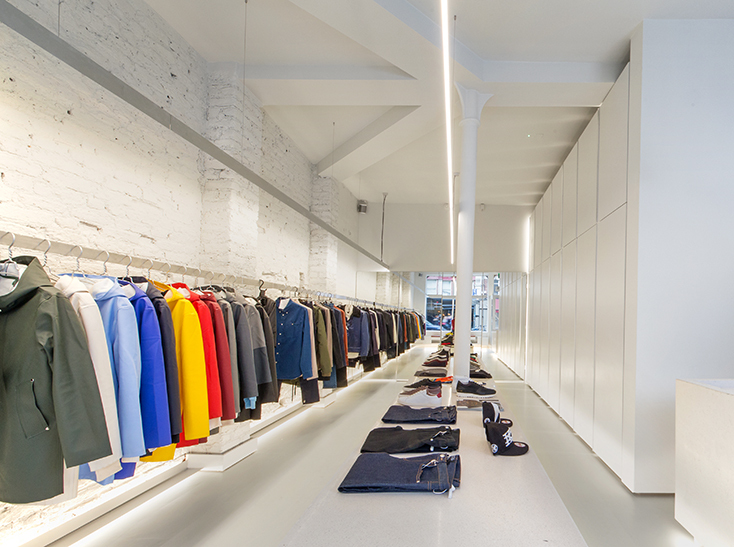 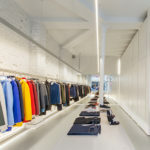 This new store is hard-edge, machine age with anodized aluminium, polished concrete, liquid flooring, mirror and glass all bound by lines of light. 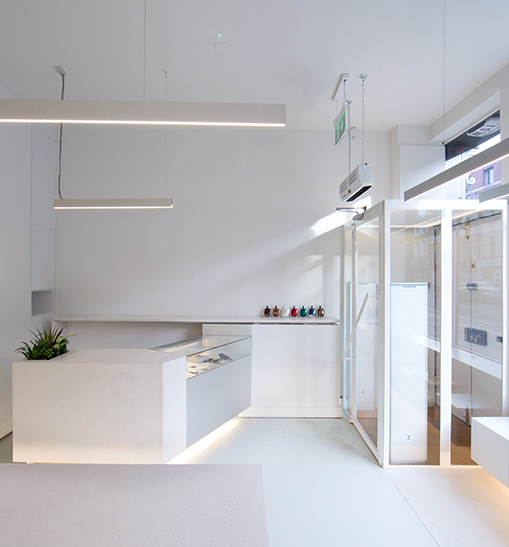 A 12 week design & 4 weeks site work completed in December 2015 for a 47m2 fit out out of former café. 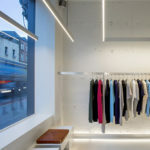 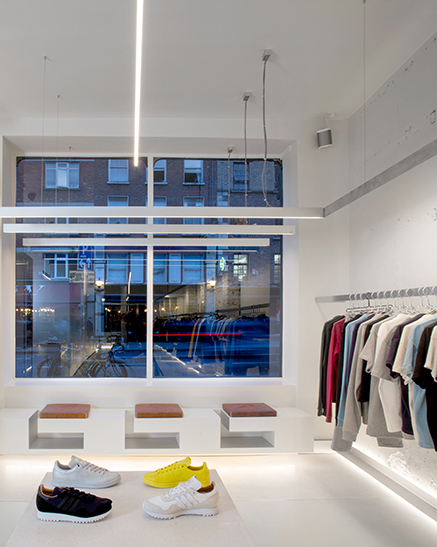 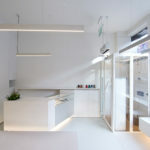 The interior consists 3 concrete elements counter, island and floor and a series of aluminium channels containing shop lights. 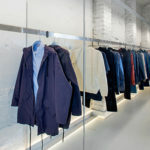 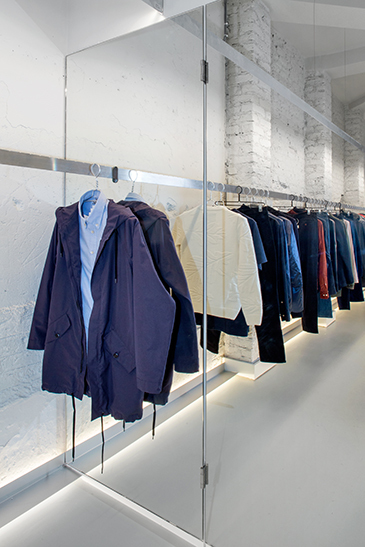 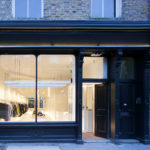 A single clothes rail disappears into a mirrored glory hole at the rear of the store whose panelling conceals changing and storage areas. 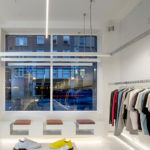 We were delighted to have the opportunity to work with Lighting Designers Oscar Barrios, David Vizan and Jessica Guzmán of 380-750 Nm, brilliant work literally and figuratively.